Dr. Ros received his MD and PhD, from the Autonomous University of Barcelona, Spain his native city and completed his Residency and Fellowship at Mount Sinai Medical Center/University of Miami. He obtained a Master of Public Heath (Health Care Policy and Management) at the Harvard School of Public Health. Currently, Dr. Ros serves as The Theodore J. Castele University Professor and Chairman, Department of Radiology of University Hospitals Case Medical Center and Case Western Reserve University and Radiologist-in-Chief of University Hospitals Health System. His prior positions include Chief of Gastrointestinal Radiologic Pathology at the Armed Forces Institute of Pathology in Washington DC, Professor of Radiology and Associate Chairman at the University of Florida and Professor of Radiology at Harvard Medical School and Executive Vice-Chair and Associate Radiologist-in-Chief at the Brigham and Women’s Hospital. In Boston, he also served as Director and Chief Operating Officer of Partners Radiology and Chief of Radiology at the Dana Farber Cancer Institute. His over 300 publications and 18 textbooks are primarily in Abdominal and Oncologic Imaging focusing on liver, pancreatic, mesenteric and gastrointestinal cross-sectional imaging with pathologic correlation. He holds eleven editorial positions including past Associate Editor of Radiology. Dr. Ros is a Fellow of the American College of Radiology, the Society of Computed Body Tomography/MRI, and The Society of Abdominal Radiology. He is an Honorary Fellow of the European Society of Gastrointestinal and Abdominal Radiology and an Honorary Member of 10 National and International Radiological Societies. 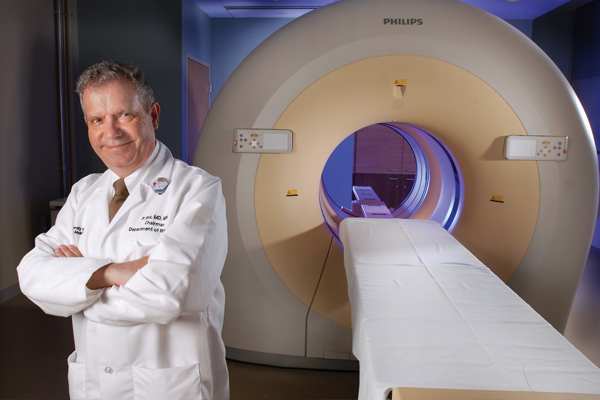 In 2010, Dr. Ros received a $38 million government-academic-industry grant to establish the Global Imaging Innovation Center.